From Neville Goddard’s 1948 “Core Lectures,” question and answer session. 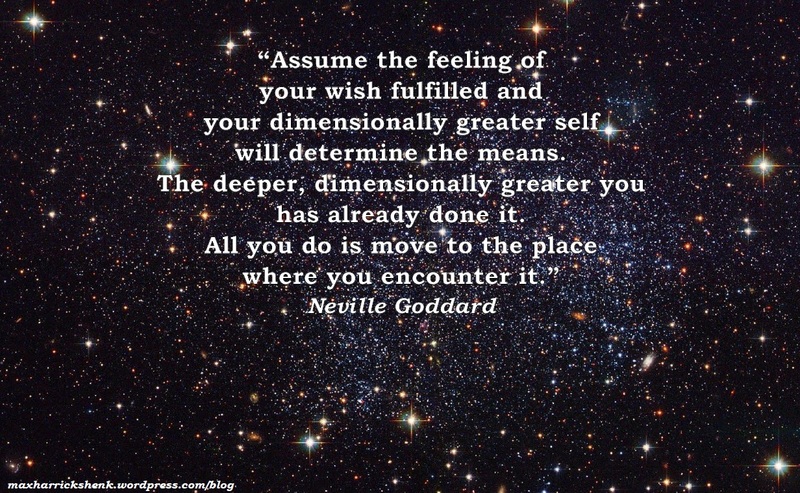 Question: When you have assumed your desire, do you keep in mind the ever presence of this greater one protecting and giving you your assumption? Remember the story of the man who left the master and was on his way home when he met his servant who said, “Your son lives.” And when he asked at what hour it was done the servant replied, “The seventh hour.” The self-same hour that he assumed his desire, it was done for him, for it was at the seventh hour that the master said, “Your son lives.” Your desire is already granted. Walk as though it were and, although time beats slowly in this dimension of your being, it will nevertheless bring you confirmation of your assumption. I ask you not to be impatient, though. If there is one thing you really have need of, it is patience.